Excela Health, Greensburg, Pa., has tapped one its trustees, Robert Rogalski, to become CEO of the four-hospital system. 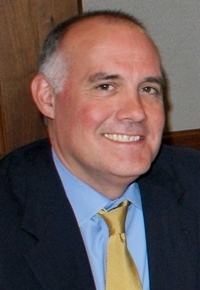 Rogalski joined the system six months ago as a member of Excela's board of trustees, and three months later was named as temporary CEO during the search process. “While a number of candidates emerged during the deliberations, we found the opportunity to observe Bob's strengths firsthand in day-to-day operations a considerable advantage,” said board Chairman Paul Mongell, in a news release. Rogalski most recently served as senior counsel and healthcare practice group co-leader with Thorp Reed & Armstrong, Pittsburgh. He has also served as in-house counsel at several health systems. Excela did not provide Rogalski's age.